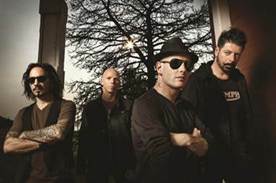 Stone Sour, fronted by Slipknot singer Corey Taylor, has announced a list of tour dates for winter. They will be accompanied by none other than Papa Roach. Yes, Papa Roach. Apparently, Stone Sour’s “Absolute Zero” is currently the #1 “Active Rock” track in the county. Mxdwn is awaiting clarifications on this distinction. Meanwhile, Papa Roach is keeping Active Rock going strong in their own right, building off the success of recent hot single “Last Resort”. Take a look at tour dates below.